I had an interesting conversation with a student today. She runs tracks but had been injured for a good chunk of the semester. I asked her how her foot was doing and she said it was okay now although it still hurt. Moreover, she thought there might be some more serious damage to the bone. After she went into some detail as to why, she said she would see someone after the season. When I asked why not now, she said she can walk and run without too much pain at the moment, so she’ll compete and wait to get things looked at later. Even though she knew she was risking further and possibly permanent damage, she had made the decision–with the apparent sign-off her training staff–to compete in the last two track meets. What struck me as interesting here, from a sports ethics perspective, is the difficult balancing of interests in cases like this. The trainers and coaches have an interest in her competing now. They also have an interest in protecting her for future meets in seasons to come. And, of course, they have an interest (obligation?) in protecting her in the here and now from doing this further damage. She has these same interests and obligations to herself. She has an interest in competing now and in the future. She ought to be taking care of herself in the here and now as well. I don’t have any deep insight into what (if any) of these interests ought to be decisive. Inclined towards a kind of Aristotelian virtue ethics of some sort, I veer towards individual phronesis (practical wisdom) to weigh these different interests and obligations ought for the individual in her circumstances given her goals in life. That said, an 18 or 19 year old is still developing phronesis and needs the help of those more experienced and more wise than she from whom she can learn. And as members of an academic institution, her coaches and trainers have an obligation to help her develop this phronesis (that is, in theory,part of their central purpose at the institution). Although the question of what she really ought to do is an important one, I am not going to explore it here. There are two more comments that I want to make. First: One of the tensions is the interests of the person today: she wants to compete now; and the interests of the person down the road: when she is 30, 40 years old, how will this decision affect her. This kind of issue comes up all the time. Most people, in my experience, tend to think that the future person has a kind of trump. That is, let’s say she does some permanent damage to her foot that makes it more likely that she have early arthritic pain in her foot. Not so much that she is incapacitated, but enough that it is a regular feature of her experience. Most people seem to want to say that she was wrong or foolish to take this risk because of this future damage. Similar cases abound from issues like concussions and other injuries in sport. Since the future person is going to experience pain and some level of damage in the future, the present person ought not to engage in that behavior. “You’ll regret it later” we say. I am skeptical that this is universally true. That is, I am not convinced there is a good argument for why we ought always to privilege the interests and concerns of our future selves. Certainly in many cases we should—that’s a big part of learning how to be a rational adult. But always? That I am not so sure about. Is it true that an athlete engaging in risky sporting activities today at the expensive of his or her future self is always in the wrong? If it is not, then this seems to cast doubt on many of the arguments against dangerous and risky sport. Second: This case, and ones like it, highlight just how complicated things in ethics (and life) really are. This is not some acquiescence to what Ayn Rand called the cult of moral grayness. It is to point out that even in a single case where everyone, let’s presume, is trying to do what is best and right, it is not easy or obvious to know what to do; let alone actually follow through and do it. As Aristotle said: “it is no easy task to be good”. In his blog, Bowen praised Pantangco’s action as exceptionally good sportsmanship and a gesture of compassion. Other bloggers and writers similarly praised Pantangco. While I acknowledge his submission was an act of kindness, I do not agree that this was an act of good sportsmanship. Or, rather, I don’t think that claim is as obvious or as clear as my fellow sports ethicist seem to think. I do not think Pantangco’s decision to submit was wrong or disrespectful. But I also don’t think it was necessary. Given the circumstances around the fight (Bowen explains), Pantangco and Rasner probably shouldn’t have been competing against each other in the first place. Once the fight is under way, Pantangco and Rasner, as a matter of good sportsmanship, ought to fight to win within the rules, norms, and expectations of their sport. Pantangco saw that Rasner was defeated and further blows would likely inflict unnecessary harm. His decision was to tap out and give the victory to Rasner. But as those more familiar with the sport than Bowen or I have suggested, there were non-sacrificial and non-(serious)-harm inflicting ways for Pantangco to bring the fight to a swift end. A friend of mine who was an MMA fighter and trainer said, “He could have taken his opponent down and ended the fight with a gentle submission”. Now, I am not sure how gentle a ‘gentle submission’ is in the context of MMA but I think it makes it clear that Pantangco’s choice wasn’t between tapping out or inflicting unnecessary and serious harm to Rasner. He had non-sacrificial options that were more in line with the norms and goals of his sport. This discussion all hinges on a key question. What is sportsmanship? As in so many cases, a common concept we use frequently is hard to pin down. Since at least James Keating 1964 article, “Sportsmanship as a Moral Category,” philosophers of sport have been debating the question. Without stepping too much into that tempest, I claim that sportsmanship is the embodiment of the kinds of virtues and moral dispositions that are proper for those participating in athletics and sports. I don’t think this is too controversial a claim; that is, until we start to unpack just what the claim really means (a huge project beyond the scope of a blog post). Pantangco’s action of tapping out might be an exceptional act of kindness, but it is not the manner in which we ought to expect or demand MMA fighters to fight. Such dispositions would undermine the sport. The goal in combat sports, as I understand it, is to win the match by inflicting damage on your opponent through the use of a set of fighting skills (the specific kind of combat sport proscribes what is in and out of this set). A principle of tapping out when your opponent is losing or essentially defeated subverts this goal and the very idea of the sport. I do not want to be misunderstood here. I am not saying that we should have a low moral standard for MMA fighters, that morality doesn’t apply, or that kindness or compassion should play no role in combat sports. I am saying the standard ought to be appropriate to human beings and to the ends of the sport. Consider the following analogy. A man might jump in front of speeding car to save a child’s life. This is an exceptional act. One we are likely to praise. But such an action tells us nothing about how to act and live in the world. In a sense, it really has nothing to do with ethics. Ethics is about the goals and principles that guide one’s action and choices. It is about how we ought to approach each day and how to determine what actions we take in life. Similar with Pantangco. The circumstances of the fight are (as far as I can tell) unique and his action is not generalizable to other fights. His action doesn’t tell us how MMA fighters ought to fight with dignity, honor, and virtue. In other words, it cannot serve as an exemplar of sportsmanship. A possible objection to what I am arguing here is that while the normal circumstances of life (or a fight) don’t require jumping in front of cars or sacrificially tapping out, there are circumstances which might arise where such actions might be appropriate or called for. True enough. My point is that thinking about these as guides for how to live our lives is at best not useful (since the conditions in these situations are exceptional) and at worst it can undermine what it actually takes to live our lives or play our games well. The International Association for the Philosophy of Sport (IAPS) is holding a group session at the American Philosophical Association Central Division Meeting in Chicago, IL. The following is the introductory paragraph from Dr. Gwin’s paper. My goal in this paper is to discuss a particular conception of virtue for sport that I think is more apt than competing conceptions of virtue found in the virtue epistemology and virtue ethics literature. While we often talk about virtues in sport, as far as I can tell from the literature on virtue and sport there has been little or no discussion of the particular conception of virtue that is most apt for sport. For example, Michael Austin (2009) develops a neo-Aristotelian notion of magnanimity for sport to argue that a magnanimous athlete will use sport to develop her own moral character. Heather Reid (2012), as another example, uses a Mengzian/Aristotelian notion of honesty to argue that the virtue of honesty in sport should be understood as accurate self-assessment of one’s own abilities. 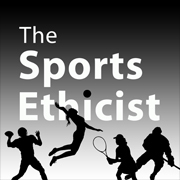 As someone who is sympathetic to both projects of virtue epistemology and virtue ethics, I applaud these efforts, and I do not think that anyone can deny that virtue plays an important role in the philosophical analysis of sport, whether it is ethical or epistemological. In this paper, I begin with a brief discussion of two competing conceptions of virtue—reliabilism and responsibilism—found in the virtue epistemology and (and somewhat arguably) virtue ethics literature. Then, I turn to Baehr’s alternative, though responsibilist aligned conception of virtue, the personal worth conception. Finally, I argue that practical wisdom and honesty, two goals central to an athlete’s achievement of the lusory goal of sport, are best understood on this conception. As a consequence of my view, I argue, possessing these virtues makes the athlete better qua person and athlete. If I am right about a personal worth conception of virtue being an apt conception of virtue for sport, then we may be able to further the discussion of virtue in sport in general.